Palm trees and 60+ degrees just don’t seem right in December! I’m a native Californian, but for the past 12 years I’ve lived in places with intense winters. (Chicago for college, and spent my 20s in New York City.) Call us crazy, but now that my husband, David, and I are celebrating our first Christmas back in San Francisco, we’re missing the cozy feelings that come with cold weather and snow. 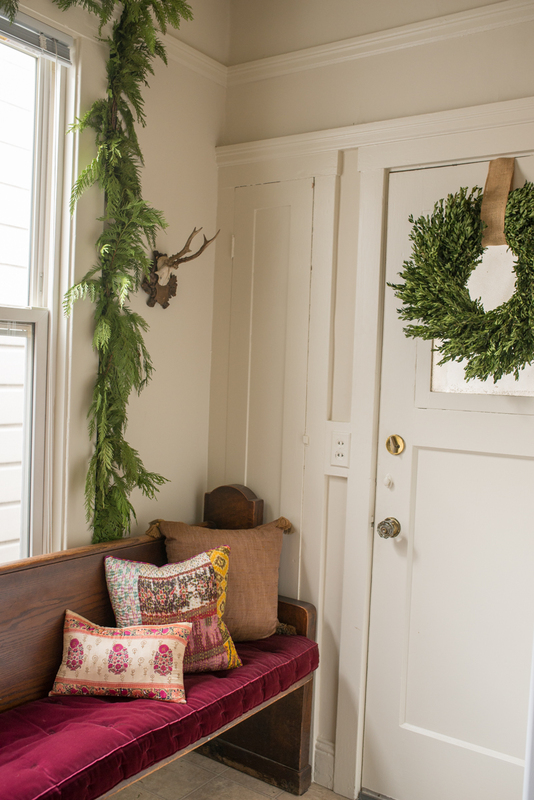 Winterizing is a separate concept from holiday decorating. 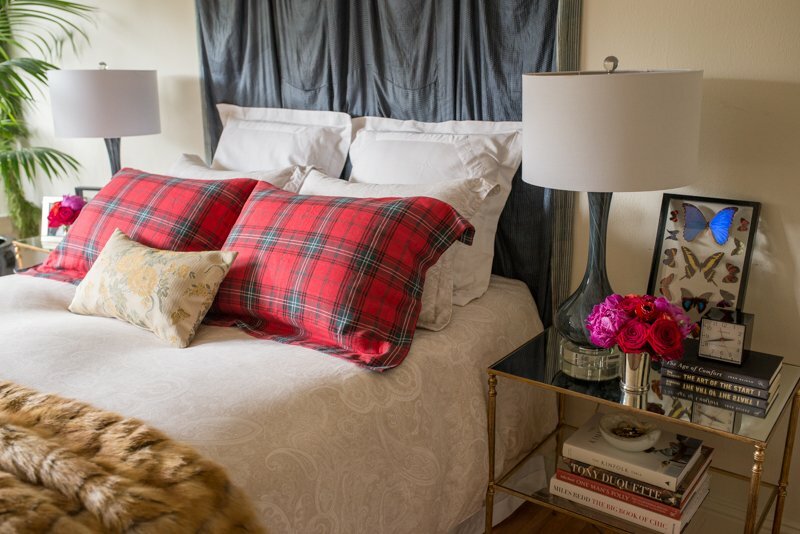 I’ve been thinking of ways to make it feel more seasonally appropriate around the Flinner house, and decided to incorporate festive textiles to help “winterize” our California home. 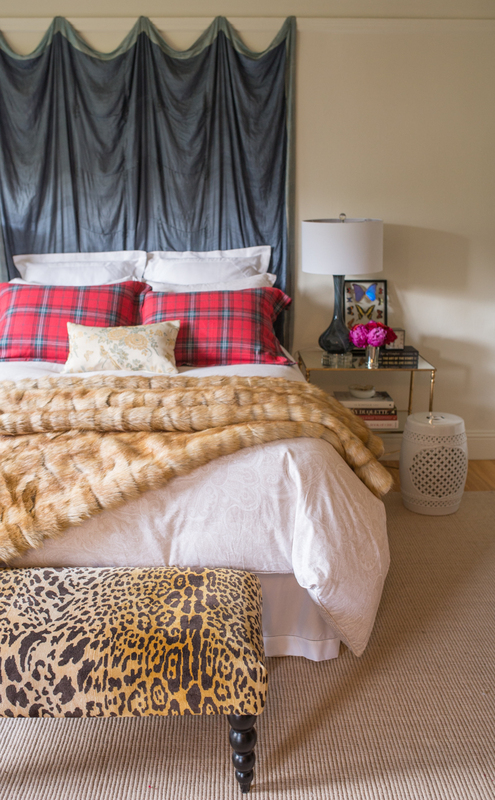 I intentionally picked a neutral duvet and shams from Ralph Lauren when designing our bedroom so I could update the look of our bed each season by rotating out a few key pieces. 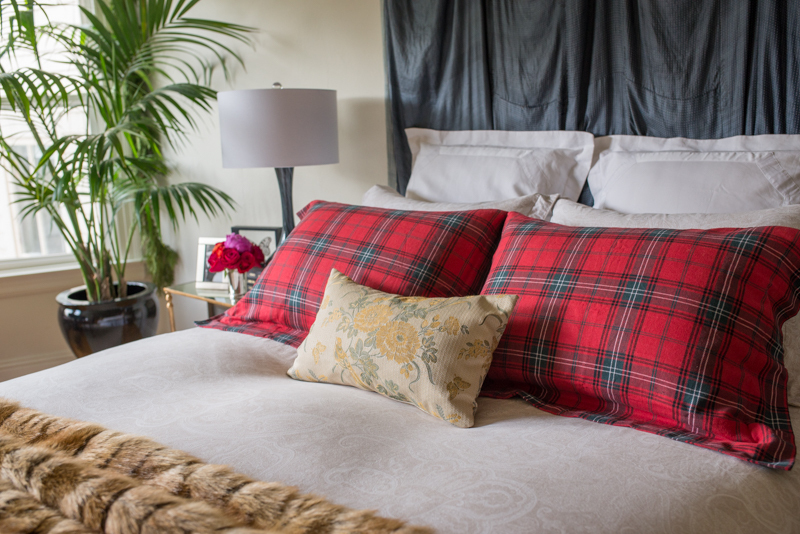 I chose a set of red tartan shams and a luxurious faux fur blanket. 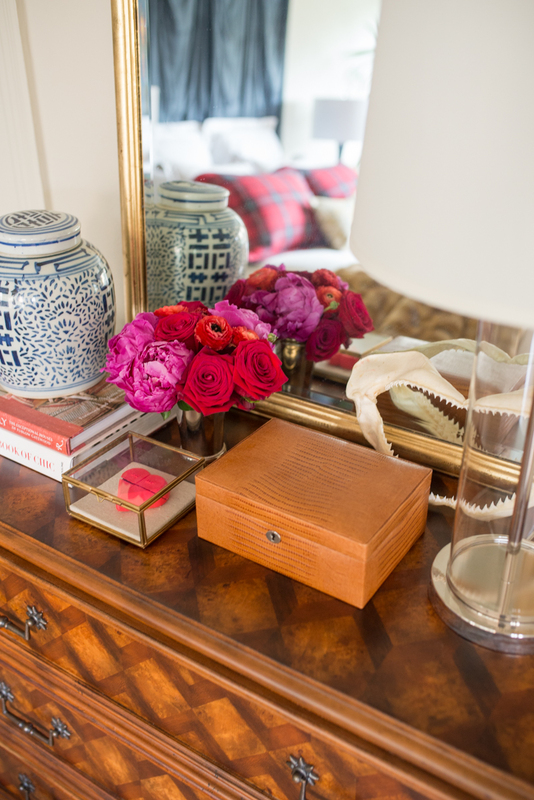 Bright red isn’t usually a part of our home’s color palette, but I’ve found that flower arrangements that tie in several of your home’s colors are an easy and inexpensive way to make everything work together. I’m amazed how quickly this place has come to feel like home. We’ve only been in this apartment for 10 months, and there are so many projects still to do. 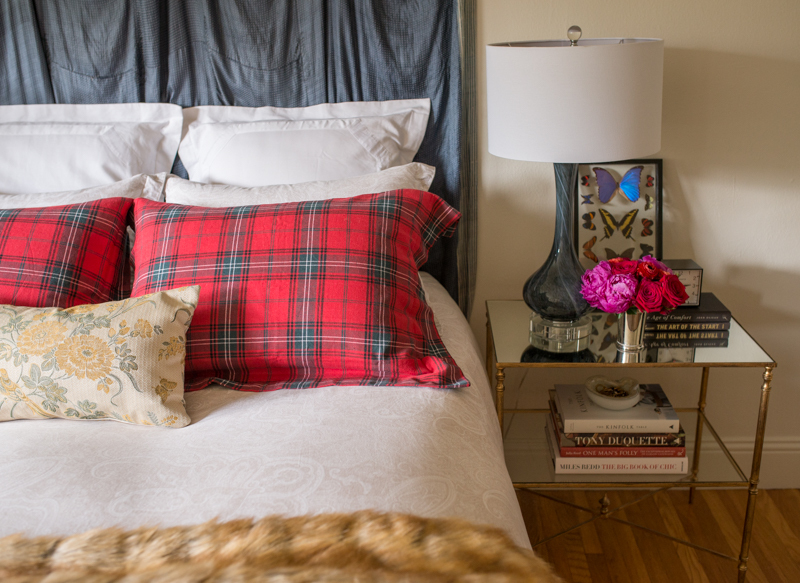 (A headboard! Curtains! A gallery wall!) 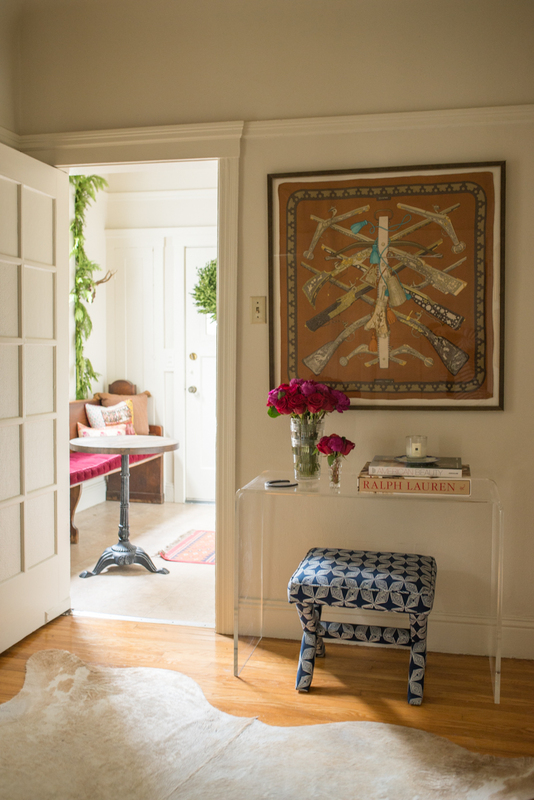 But I firmly believe creating a home that is your favorite place in the world is a process and the space becomes most “you” when you take your time. 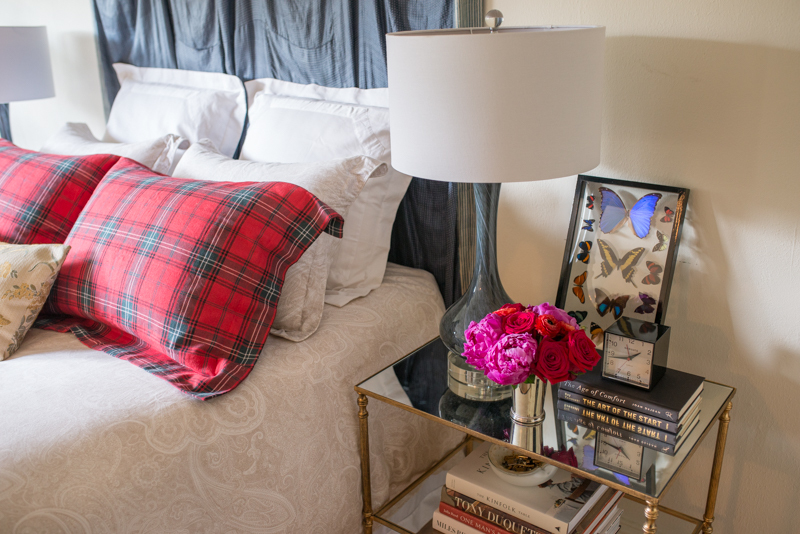 Thank you for your interest in watching our home evolve, and I hope you find a little inspiration for your own home here.